• Premium: provides a summary rating as well as grades on the important criteria of price, protection (claims payment history) and service. 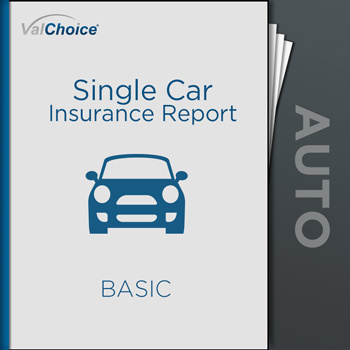 • Basic: includes only the summary rating showing how your company rates compared to other car insurance companies. We’ve all heard the news stories about accident victims whose insurance company wouldn’t pay the claim. Is that your company? Until now, there was no way to know. ValChoice has changed that. We let you know how good your insurance company is compared to others. 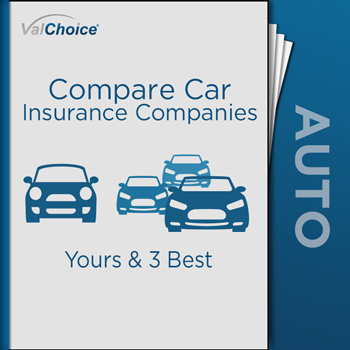 For the first time, you can find out with the Car Insurance Report Card how your company rates for price, protection (claims payment history) and service compared to all other insurance companies. The analysis is specific to the insurance company you choose. Insurance companies vary widely based on where you live. Finally, you can get an easy-to-understand, independent analysis of any car insurance company. This is the first and only reliable report available measuring the value of insurance. The basic version of the this report card provides a summary score with a fuel-gauge-style image and a score between 0 and 100. Any problems identified in the underlying detailed analysis will be referenced so you know if there are issues that you need to be concerned about. The premium version of the Car Insurance Report Card includes everything from the basic report, and also includes analysis of the price, protection (claims payment) and service. With the premium report, not only do you know how competitive the insurance company is overall, you also know the specifics of how competitive they are on price, protection (claims payment) and service. 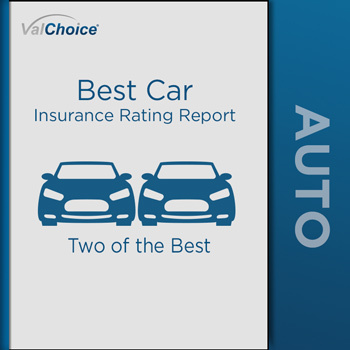 ValChoice® is the only company to provide consumers, agents and advisors with information on which home and auto insurance companies offer the best value: price, protection and service. 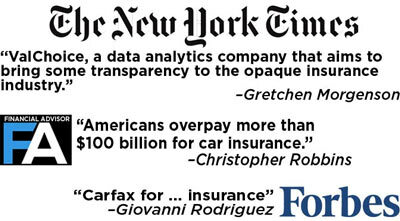 The company’s analytics platform collects and analyzes millions of financial and complaint data points and delivers the results in an easy-to-use service that Forbes Magazine describe as “Carfax for…insurance.” Using ValChoice, consumers are finally able to shop for insurance based on value rather than making decisions blindly based on price or advertising campaigns.